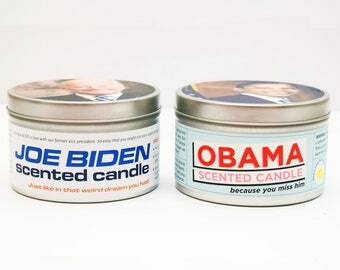 Come visit our "humor" website: hottestheadsofstate.com. 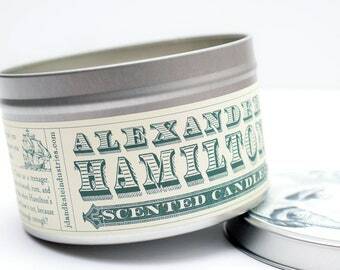 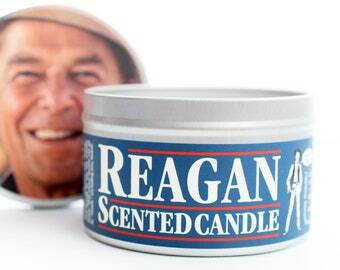 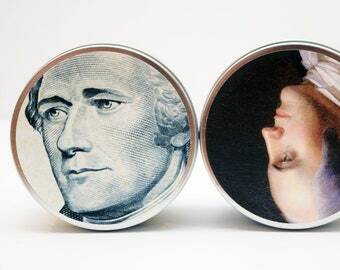 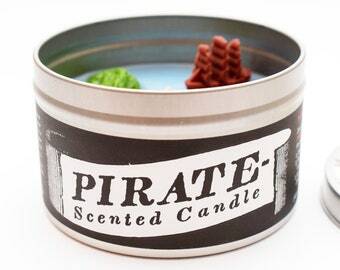 We can tell you're not busy, because you're browsing for candles that smell like Aaron Burr. 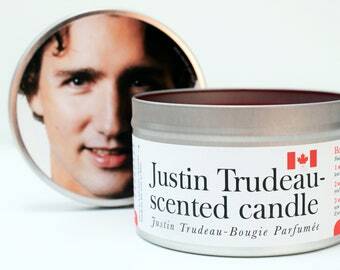 Hilarious gift, clever label, loved it thank you! 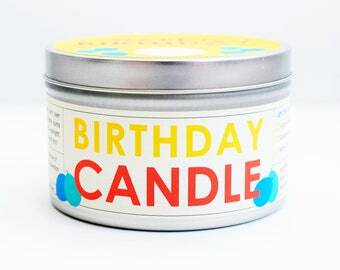 While waiting in the virtual online ticket line for Hamilton traveling show tickets I ordered this as a threat to the cabal that controls tickets for traveling broadway shows. 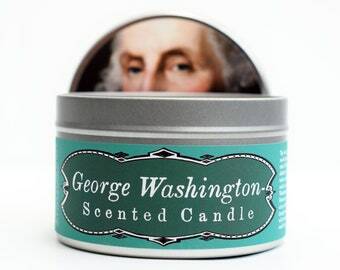 This totally worked and I emerged with one ticket to Hamilton; however I should have ordered three Aaron Burr-Scented Candles as I was after three Hamilton tickets. 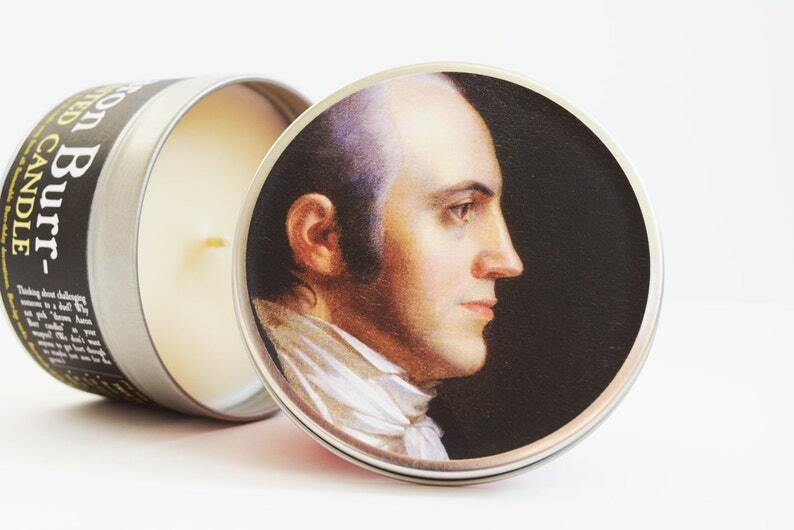 Soon, my wife will go to a lovely show while I sit home with our 6-year-old daughter sniffing the strangely pleasant aroma of an Aaron Burr-Scented Candle. 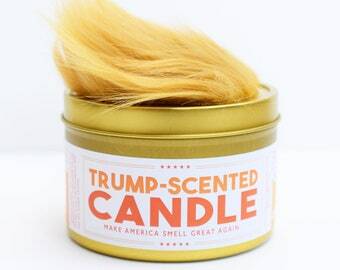 The evening will likely devolve when my daughter turns to the Trump-Scented Candle from last Christmas, opens it with a maniacal laugh, and utters the two horrifying things she tends to say when the Trump-Scented Candle is open, "It really does not smell that bad" and "Remember you have to keep an open mind dad..."